Gales of up to 140kph will lash the county for the afternoon and there is more snow on the way! A storm warning has been put in place and people have been advised to be careful while out and about. There is also a warning that overhead powerlines and trees could fall because of the severity of the winds. Hail and sleet has been falling in many places and that could turn to snow in the late afternoon. However the worst of the winds are expected to ease by this evening. Met Eireann has warned that further snow could fall this evening but it is unlikely to stay. John Eagelton of Met Eireann said Donegal has been lashed by the worst of the weather today. 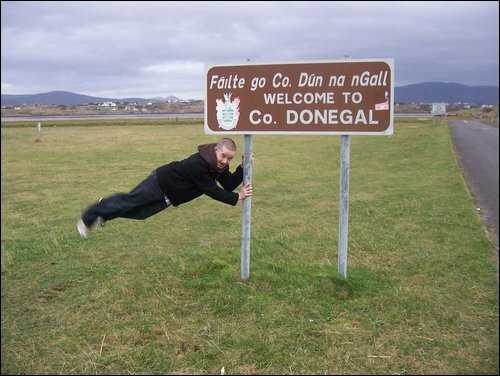 “Winds have reached speeds of up to 140kph in parts of Donegal which is getting the worst of the weather. “We estimate that it will ease back somewhat by this evening and the weather will not be as bad for the next two days at least. “There has been hail and sleet and there will be further falls and this could turn to snow – especially on higher ground. “However we do not think this will remain on the ground and will melt away,” he said.